A brewery that has teamed up with its competitors to buck the current trend of pub closures has won a major national award for its farsightedness. 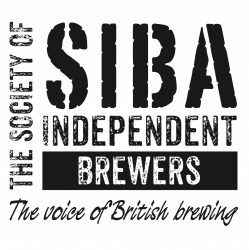 Everards of Leicestershire were last night (Monday 13 October) named overall champions in the 2008 Brewing Business Awards, organised by SIBA, the Society of Independent Brewers, and contested by breweries throughout the British Isles. The winning project involves Everards, established in 1849, collaborating with newer and smaller brewers to reopen pubs that have closed down or put new life into pubs that have fallen on hard times. Everards provide the money to buy and refurbish the pubs and their new partners take over the running of them. Nationally, it is estimated that five pubs are closing down permanently every day but Everards pointed out that 70 new breweries had opened in the past two years, drinkers were actively seeking local products and the demand for real ale was growing. So far, they have joined forces with three rival breweries — near neighbours Steaming Billy of Oadby, Titanic of Stoke-on-Trent and Ashover in Derbyshire — to regenerate five pubs. A further four revamps are planned in partnership with four separate brewers. In all of the first five cases, ales from both Everards and their new partners are on sale side by side on the bar, the name of the smaller brewery appears prominently on the outside of the pub and takings have risen to as much as £8,000 a week. The judges, chaired by Good Beer Guide editor Roger Protz, said the scheme “tears up the old stereotypes that have entrenched a them-and-us attitude” between established regional brewers and small independent companies. “Everards have demonstrated that there is at least one way for supposed rivals in the market place to grow their businesses in harmony,” the judges add. “It is little wonder that the historic Leicester brewer has reported such positive feedback to this farsighted innovation. Everards were presented with the overall championship award by Roger Protz at a ceremony at the Institute of Directors in London last night. Their entry also won the prize for best innovation and they received a separate award for the best use of electronic media with a website that gives customers an opportunity to sign up as brewery agents and report on their experiences in the company’s pubs. The 1,200 registered customers, who receive vouchers in return for their efforts, use a codename and do not identify themselves in the pubs. Their opinions help pubs to see where they are doing well or could do better, and Everards say the scheme has been well received by the licensees. Burnley-based brewer Moorhouse’s scooped the award for Best Promotion Initiative at the the annual Society of Independent Brewers (SIBA) awards. Moorhouse’s won the award for its first ever TV advertising campaign rolled out in November and December 2007. The 30-second commercial, screened on Sky Film 24 and in the Granada and Yorkshire TV regions.